American Patchwork and Quilting Radio! Well, the cat is out of the bag! 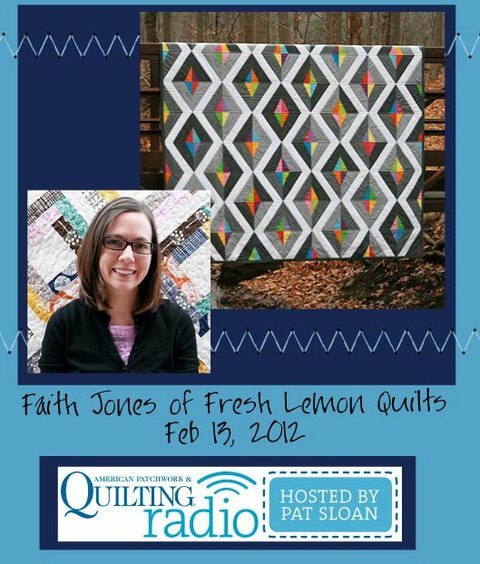 I will be a guest on Pat Sloan's American and Patchwork Quilting Radio this Monday, February 13th. The show starts at 4pm Eastern Time and you can listen live online on your computer (or later if you happen to miss the show). There are directions on their website for getting all set up. I hope you all will tune in as we talk about the wonderful online quilting community! Garden Trellis ~ A New Quilt Pattern!